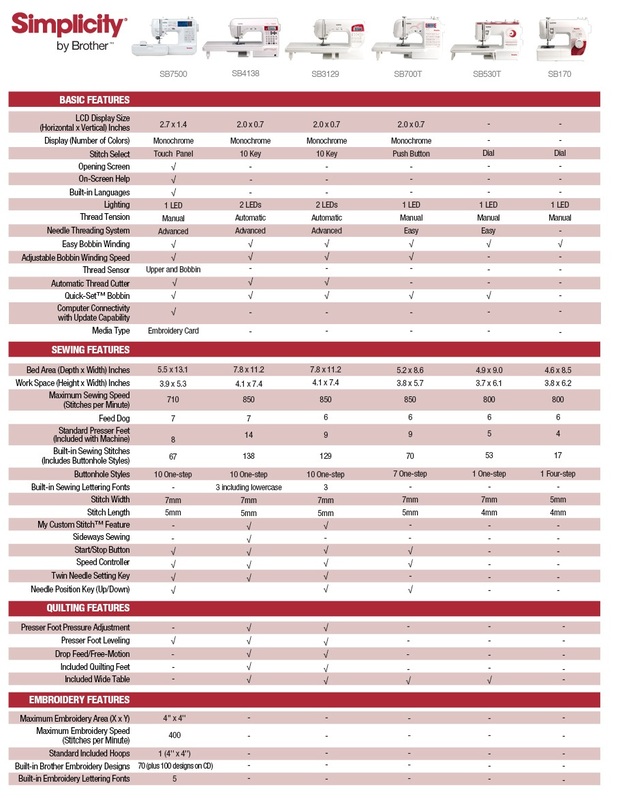 Are you just starting to sew, and need an easy to use, affordable machine for your first sewing projects? 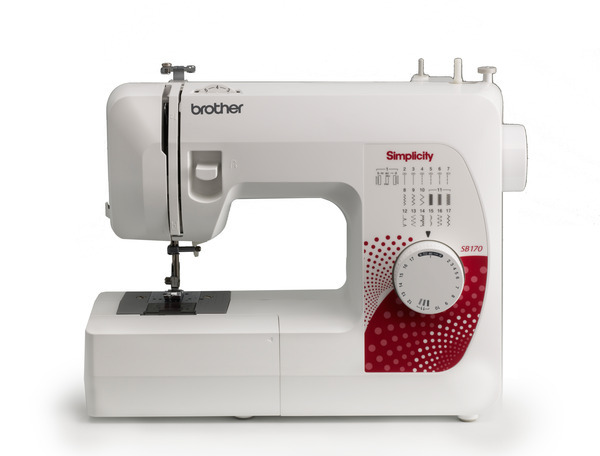 If so, then the Simplicity by Brother "Simply Affordable" SB170 Sewing Machine is for you! With 17 stitches including buttonhole, you will have enough stitches to get by with most basic sewing applications. Simply use the Easy Stitch Selector Dial to choose straight stitches, zig zag stitches, as well as a scallop, satin stitch and blind hem stitch. Simply, this is the best basic sewing machine, created with you in mind. 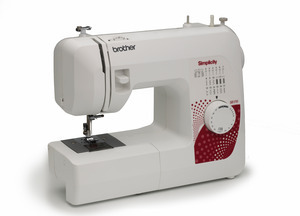 Brother SB170 Basic Sewing Machine Scores Consumer Digest Best Buy Award. Warranty: 1/3/25 year plus warranty. See plus warranty for details. LOVE this machine! This replaced my 30 yr old Singer. I love all the features. Plus, it is so lightweight. I do wish it had a zero setting for stitch length tho. Expertise Hobbyist/Enthusiast Use Replacement Machine Brother products owned 1 ✔ Yes, I recommend this product. Great little simple machine I was looking for the simple everyday sewing machine and this is IT! Expertise Casual User. Use Replacement Machine. Brother products owned 1. ✔ Yes, I recommend this product. Best value for the price This machine does an excellent job for all of my sewing needs. The machine is easy to use. My 11 year old granddaughter can even use the machine. Expertise Advanced Amateur. Use Home (Personal Use). Brother products owned 2. ✔ Yes, I recommend this product. Good purchase The machine is simple to use. A great sewing machine to take to quilting classes. Expertise Advanced Amateur. Use Additional Machine. Brother products owned 2. ✔ Yes, I recommend this product. Perfect for my 13yr old. This is a perfect started machine. My daughter loves how easy it is to use. She sews everything she can. Simple and easy was what we were going for. Expertise Hobbyist/Enthusiast. Use Home (Personal Use). Brother products owned 1. ✔ Yes, I recommend this product. Easy to learn for an older, seldom sewer. I used to sew simple items. Haven't sewn in several years. Now only mend. But had a simple project and trusty Singer quit on me, so I made this purchase. Expertise Casual User. Use Home (Personal Use). Brother products owned 1. ✔ Yes, I recommend this product. Just what I was looking for in a sewing machine. It is a good sewing machine and does what I wanted it to do. I was looking for a sewing machine to make repairs to my clothes that were getting worn. I did not need a lot of 'fancy stitches' that I would never use. I wanted a good low priced machine that did not jam and 'gets the job done' and this machine 'fills the bill'. Expertise Casual User. Use Home (Personal Use). Brother products owned 1. ✔ Yes, I recommend this product.